One of the students on a SMEF scholarship, Dionicia, recently graduated as a nutritionist. 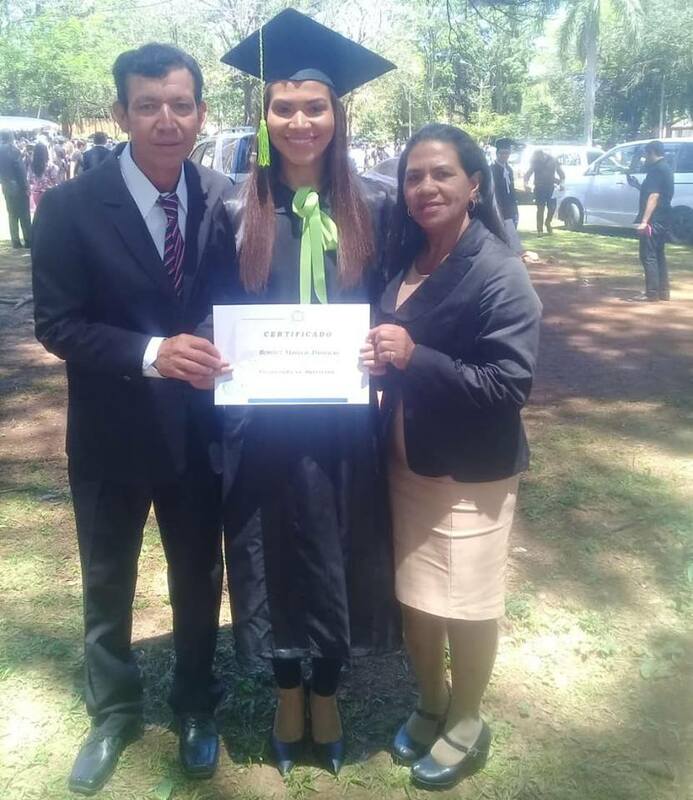 Her degree was four and a half years and included an internship working in San Ignacio’s hospital, in the same the city where she studied at the Universidad Católica. She is from one of the poorest outlying villages of the Santa María district and her parents (pictured with her) work the land to make a living. She would never have been able to go to university without a full scholarship from SMEF.